8' throw fits 30" H x 8' W or 6' W table. 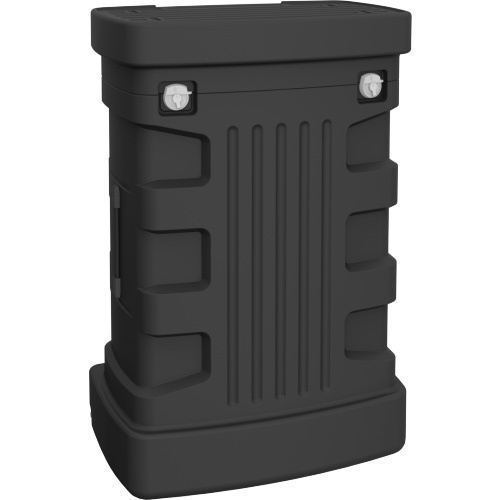 Made from flame retardant, premium polyester twill fabric. Machine washable and wrinkle resistant. Velcro attachments make size conversion easy. 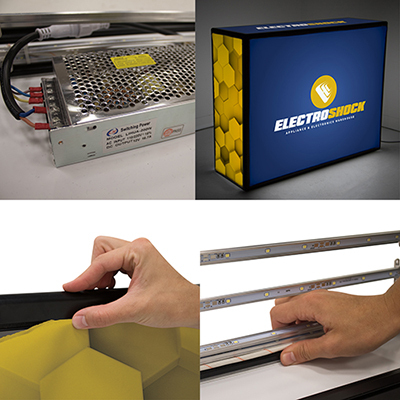 Here's an easy opportunity to fulfill your Promotional Tradeshow needs, starting with your table. 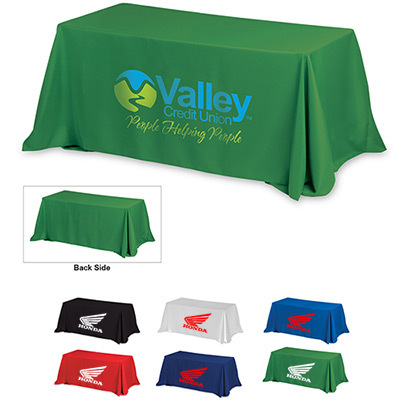 Get this exquisite 8' Convertible Table Throw in any color you like and then put your full color logo and branding on it. 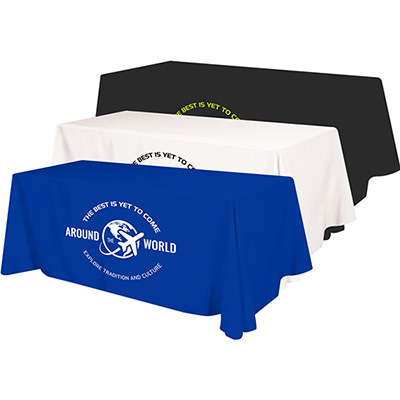 These throws have an adjustable length and are wrinkle free so this is all you need to make your Promotional Tradeshow table look absolutely beautiful. 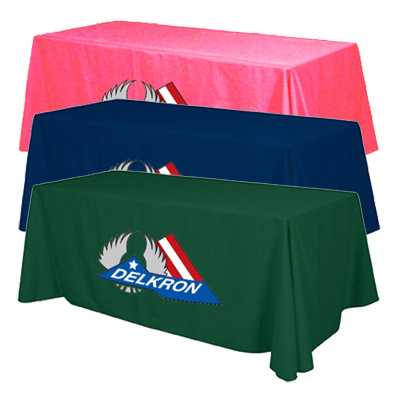 Go get these great Table throws from Promo Direct now! "Pleased with this table throw. " Make a powerful appeal with this Premium fabric table throw!